Bottle Rockets’ crosshairs show how aiming the weapon should work. 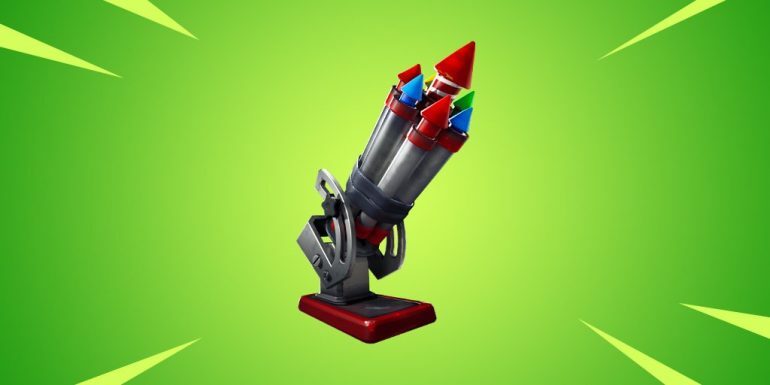 The new and yet mysterious item Bottle Rockets is coming to Fortnite: Battle Royale soon. Developer Epic Games revealed the item in a message in yesterday’s in-game News tab. The message says the item is “loud, bright, and dangerous,” which fails to give players a better understanding at how it might work. Since players are lacking additional information, the most they could suppose is that it will either be an explosive weapon, a trap, or a hybrid of the two. Fortnite dataminers, however, found something in the game files that might shed light on how the Bottle Rockets could work. Everything is speculation at this time, though. Lucas7yoshi revealed an image that shows what the crosshairs of Bottle Rockets will look like once players are controlling it, saying there’s not much to leak besides that. It may already be a good tip, anyway. The crosshairs have an oval shape on top of two lines. The aim looks a lot like the Grenade Launcher crosshairs, which might mean the Bottle Rockets will work somewhat like them. But we know rockets and grenades are different projectiles in real life as well, and the expected trajectory of a rocket should be a straight line. The two lines at the bottom of the Bottle Rockets’ crosshairs should represent how much players have to adjust their aim according to the distance they are from their target. They should be affected by gravity, just like other weapons and projectiles that don’t have first shot accuracy in Fortnite. And considering the Bottle Rockets’ icon, we can see it has a base keeping it on the ground. This probably means that it will be a trap that needs to be placed on a floor tile and that players must mount it to use it, just like the Mounted Turret. If that’s true, each Bottle Rocket might only have seven shots before running out of ammo, according to the icon as well. That point should be when the trap becomes useless if players can’t reload it with their own explosive ammo. But we’re still waiting for confirmation and details about the Bottle Rockets. This will most likely come when the item is released in the v7.40 update tomorrow or Wednesday.